Can fasting lead to high RBC count? 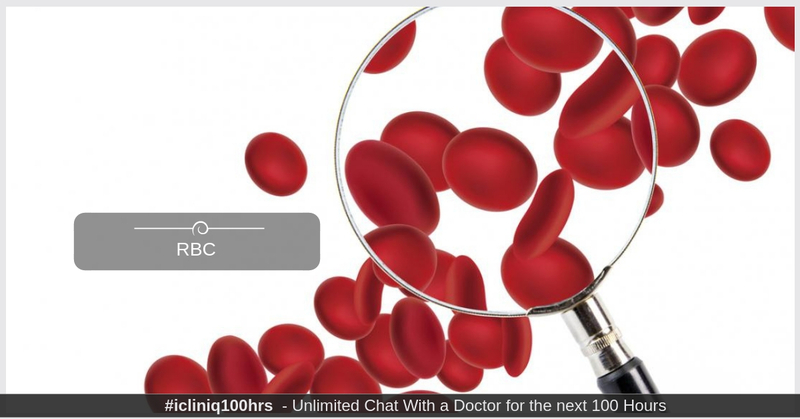 iCliniq › Ask a doctor online › Answers › Hematology › High Rbc Count › Is it possible to get high RBC in blood test due to fasting? Q. Is it possible to get high RBC in blood test due to fasting? I had a blood test done two months back and my RBC was 6.0, hemoglobin 17.2, and hematocrit 51, which were all high especially RBC. The blood test was in the morning and I had not eaten or drunk for eight hours before. I am an 18-year-old 130 lb male, and I was wondering if the blood test was high because I had fasting and it was in the morning. My doctor told me it might be polycythemia and to go back for another test in three months. • Fasting glucose 131 and post lunch glucose level 121. Am I diabetic? • Can polycythemia vera be related to cancer? The dehydration for prolonged duration can lead to high RBC count, high hematocrit and high hemoglobin level. But eight-hour fasting cannot lead to such findings. It is advisable to repeat your test after a few days. Until then, keep yourself well hydrated with lots of water. If still, it comes high after a few days, then further workup for polycythemia should be done in form of EPO estimation, chest X-ray, EKG and JAK2 mutation testing as per need. I have increased white cells, proteins, leucocytes and epithelial cells in my urine. Why? What is the meaning behind my blood values? Can delirium be caused by fasting and lack of sleep?